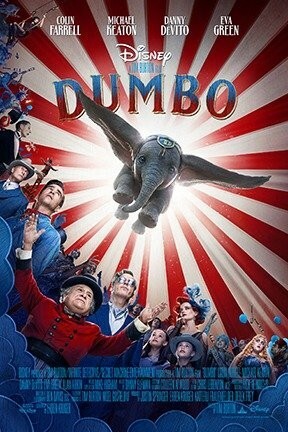 A sweet little elephant who can fly by flapping his ears discovers sinister secrets about the circus where he works. Tim Burton directs. the reviews have taken a pretty dim view: Joe Morgenstern of the Wall Street Journal called it "a live-action remake of the 1941 animated classic with a grim tone and a dead soul."